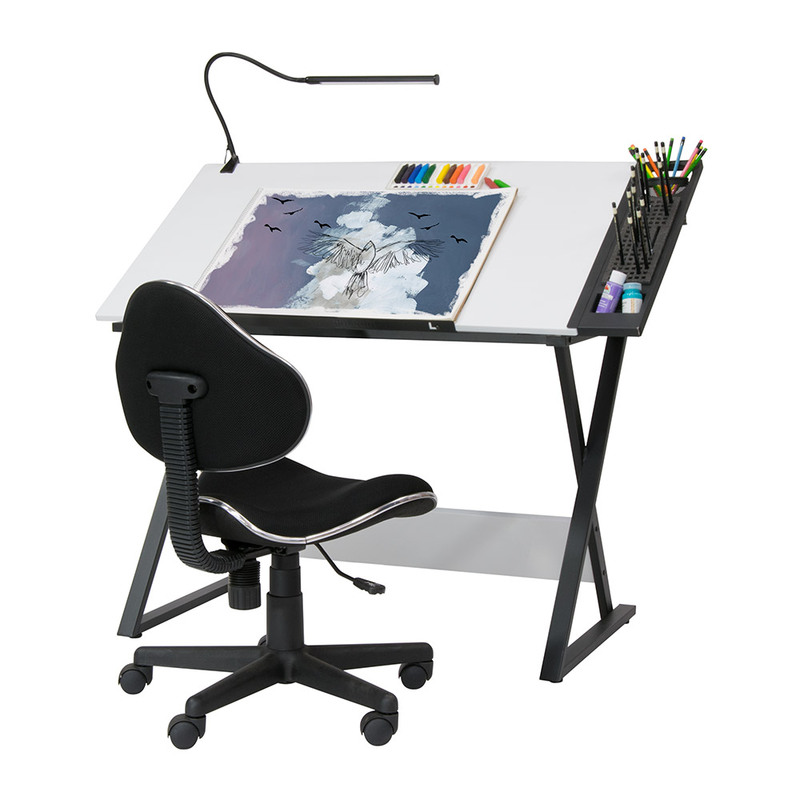 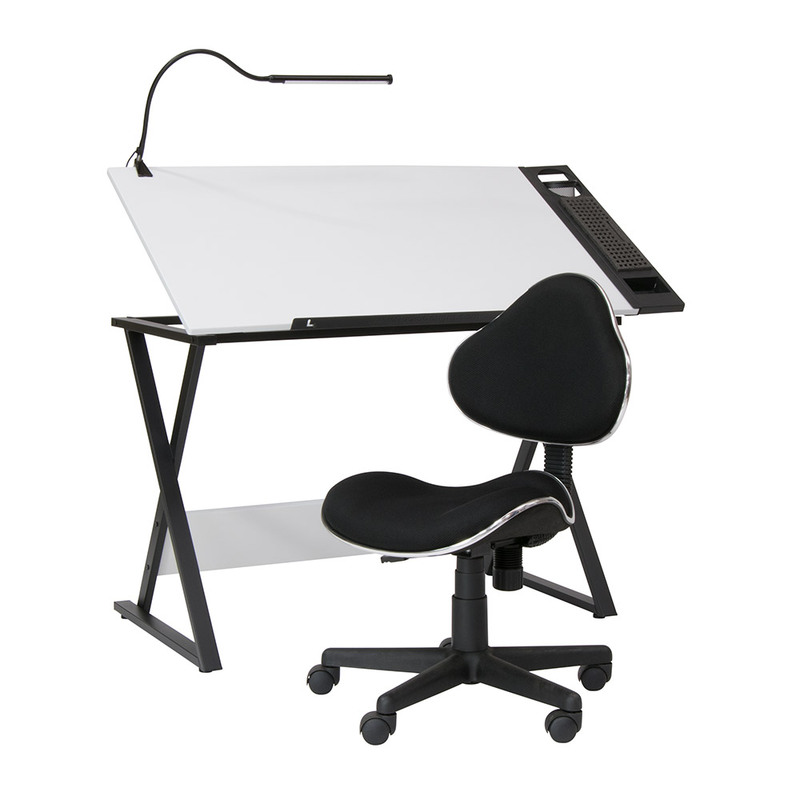 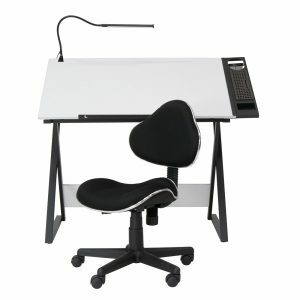 The Axiom 4 Piece Bundle includes a drawing table, chair, art supply tray, and LED lamp. 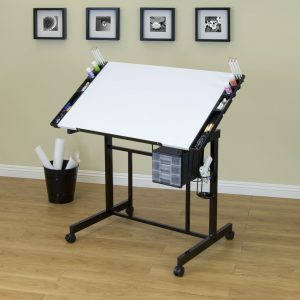 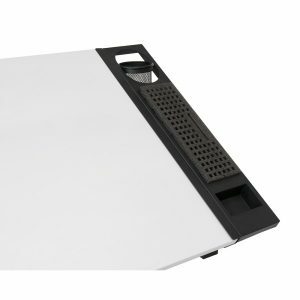 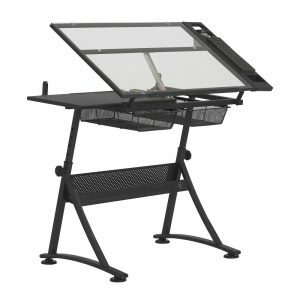 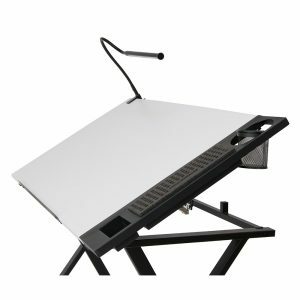 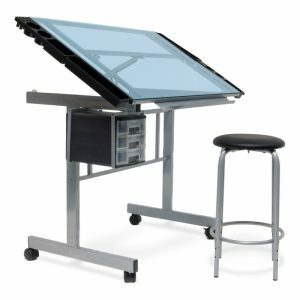 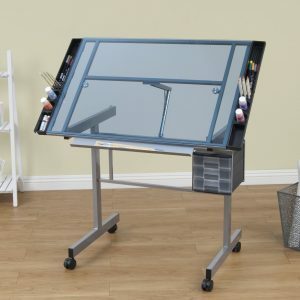 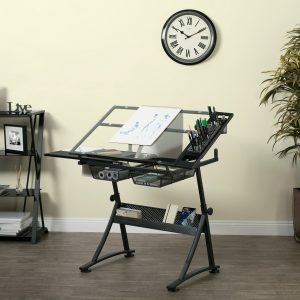 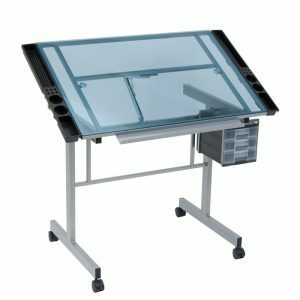 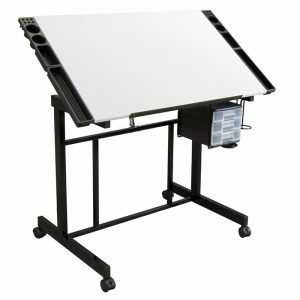 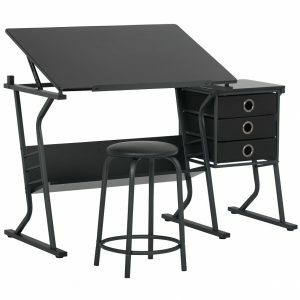 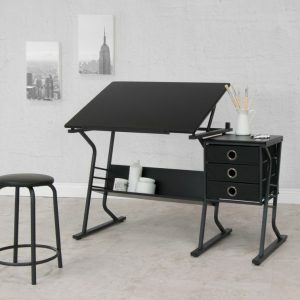 The Axiom Adjustable Top Drawing Table has a large 42” x 24” angle adjustable top that tilts up to 40 degrees with a 24” pencil ledge that keeps pens and markers from falling when the top is angled. The powder-coated frame and floor levelers make is durable and stable. The Mode Chair’s contoured back and seat offer added comfort. 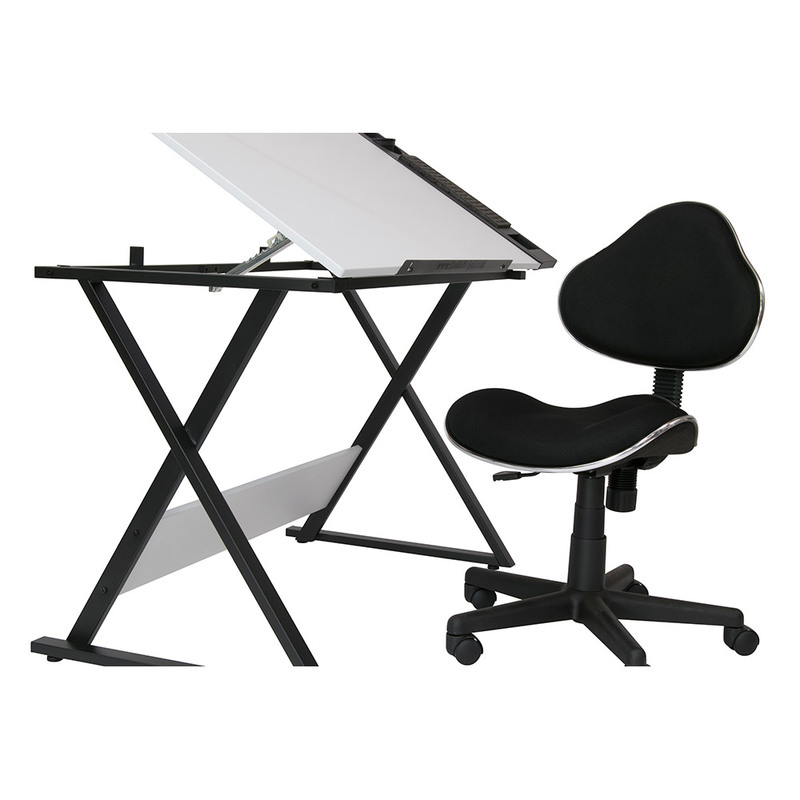 The seat adjusts from 16”-21”. The LED Swing Arm Lamp has steel springs and tension knobs to position and lock it where needed. It provides a bright cool light that is 4,000 Kelvin and 422 lumens. 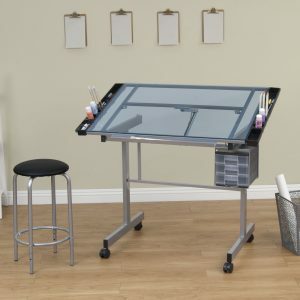 The 24-inch Premier Metal Art Tray has a removable foam pencil organizer and a swivel mesh cup for brushes and larger supplies.